William Philip has been minister of the Tron since August 2004. He moved from London, where for 5 years he was Director of Ministry with The Proclamation Trust, working with ministers, teaching those training for ministry in The Cornhill Training Course, and overseeing a varied programme of conferences. Before that he served in ministry positions in Aberdeen, where prior to ordination, he studied medicine at Aberdeen University, and trained in cardiology at Aberdeen Royal Infirmary. He is married to Rebecca, and they have two daughters. Paul Brennan studied law in Nottingham and then worked in the public sector until September 2012 when he joined our apprenticeship scheme. He then continued with us as a Minister in Training for 3 years studying on the Pastors’ Training Course and has been Associate Minister in the Tron Church since June 2016. He is the Location Pastor of the Tron at Kelvingrove and has responsibility for small groups across the Tron Church. Paul is married to Stephanie and they have three children. Phil Copeland comes from Glasgow and was a ministry apprentice with us from 2010 to 2012. After completing his apprenticeship, he worked at Christ Church Harpenden as Youth Minister as well as studying on the Pastors’ Training Course before returning to the Tron in September 2017 as an Assistant Minister. Phil is married to Emma and they have one child. Josh Johnston comes from Northern Ireland and studied theology at the International Christian College in Glasgow. He joined our ministry training scheme in September 2012, and completed the Pastor’s Training Course, having been a Minister in Training with us, in June 2017. He is an Assistant Minister and has responsibility for our Farsi congregation. Josh is married to Kate. Edward Lobb is an Honorary Associate Minister and shares in the pastoral ministry and regularly preaches at The Tron. Edward is Director of the Cornhill Training Course in Scotland. Edward is married to Catherine and they have 4 grown-up children. David Ely studied Zoology at Aberdeen University and then did a Masters in Cartography at Glasgow University. He joined our ministry training scheme in September 2016 and became a Minister in Training in 2018 studying on the Pastors’ Training Course. David is married to Margarita. Sam Parkinson studied Modern History at Oxford University and then did the Cornhill Training Course in London. After working for The Proclamation Trust for several years he worked as an editor for a Christian publisher. He joined the Church as a Minister in Training in September 2017 and is studying on the Pastors’ Training Course. Sam is married to Charlotte and they have two children. Andy Ritson studied medicine at Glasgow University and worked in Aberdeen for two years. He joined our ministry training scheme in September 2015 and became a Minister in Training in 2017 studying on the Pastors' Training Course. He is responsible for our students and young workers' ministry. Andy is married to Cara and they have two children. Agnes Brough studied law at Cambridge and worked in the Lord Chancellor's Department for 8 years. Then she trained as a teacher and taught in a London primary school. She completed a year on the Cornhill Training Course in London and then moved back north to join the Tron in 2003. Agnes ministers particularly among women and young people. Alison Hair became our church administrator in 2000. She is the face behind info@thetron.org and is responsible for keeping everything running smoothly at the Tron. Richard Henry studied at Strathclyde University and worked in business in Glasgow for 19 years. Thereafter he studied on the Cornhill Training Course and joined the church team in 2008 as Church Manager. Richard is also our Session Clerk. Katie Piggot joined the team in 2010 after being an apprentice for two years in the church and also completing the Cornhill Training Course in Scotland. Before this she studied in Aberdeen, worked abroad and then became a Modern Studies teacher in Glasgow. 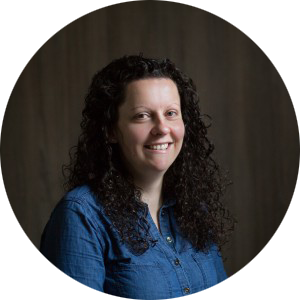 Katie mainly works with female students as well as women of all ages and teaches English as part of our internationals ministry. Hannah Topping joined the staff team as assistant church administrator in 2017. Hannah studied Archaeology with French at Queen's University in Belfast. She is married to Michael. Matt Wilkinson graduated from the Royal Conservatoire of Scotland with a degree in music performance and then completed our ministry training scheme in 2018. He then joined the staff team and is responsible for developing music ministry in the church. Eleanor Kain joined our ministry training scheme in September 2017 having graduated with a degree in nursing from Edinburgh University and then doing UCCF’s Relay programme in Aberdeen. 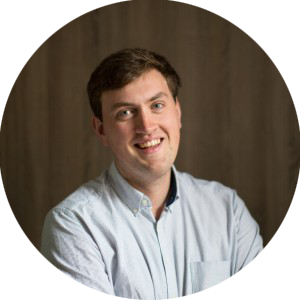 Calum Main joined our ministry training scheme in September 2017 having graduated with a Masters in Civil Engineering from Strathclyde University. Caroline Merson joined our ministry training scheme in September 2017 having graduated with a degree in Speech and Language Therapy from Queen Margaret University in Edinburgh and then working on the Isle of Lewis as a Speech and Language Therapist. Stephen Ballingall joined our ministry training scheme in September 2018. He completed the Cornhill Training Course in 2011 and since then has been working as an artisan baker. Stephen is married to Lynn. Laura Nicholl joined our ministry training scheme in September 2018 having graduated with a degree in English Language from Glasgow University. Gloria Shaw joined our ministry training scheme in September 2018 having graduated with a degree in Accounting from Cedarville University in the United States. Gloria is joining us from Delhi for 2 years. To find out more about our ministry training scheme - click here. We have a number of church members or friends of the Tron, whom we support, working in different parts of the UK and the world. Terry McCutcheon is the Director of Hope for Glasgow. Prior to this Terry worked for The Tron Church for 9 years and continues to serve in the church and leads our Tron at Two congregation. Hugh and Maggs McKenna work with Chanan Trust in Glasgow. Scott and Nok Murray, currently on home assignment, work with OMF at a teaching hospital in Chiangmai, Thailand. David and Julie Rowbory work with Wycliffe Bible Translators in Jos in Nigeria. For more info, visit their website. Darren and Susan Wall were missionaries in Phnom Penh, Cambodia, and now serve OMF in the UK. If you would like to know more about world mission, please contact our Missionary Team on info@thetron.org. As a church with a presbyterian background, we have asked a number of senior ministers from around the UK and the world to act as a Council of Reference for us. We are very grateful that these well respected church leaders have made themselves available to offer us advice when we need it and to be those to whom our leaders are accountable.